Try a variation on a traditional spiced cake with Spiced Pudding Squares. 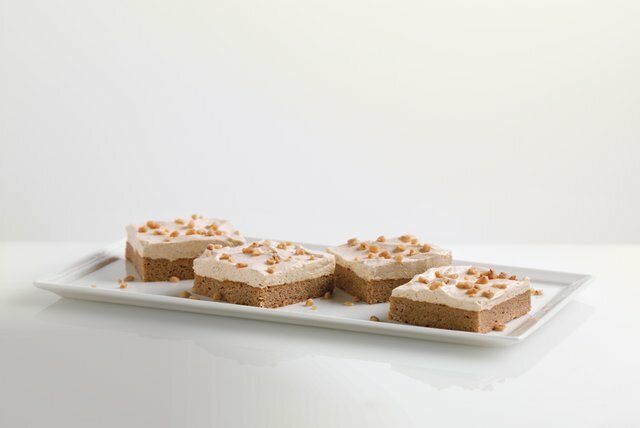 Spiced Pudding Squares have all the taste you love, in individual servings. Mix first 3 ingredients just until blended; press onto bottom of 13x9-inch pan sprayed with cooking spray. Bake 15 to 17 min. or until toothpick inserted in center comes out clean. Cool completely. Beat dry pudding mix, milk and spice in medium bowl with whisk 2 min. Stir in COOL WHIP until blended; spread over crust. Refrigerate 2 hours. Sprinkle with toffee bits just before serving. Prepare using a chocolate cake mix and 1 pkg. (3.9 oz.) JELL-O Chocolate Flavor Instant Pudding. This easy-to-make layered dessert can be refrigerated up to 2 days before serving.